I need a lot of these, in various classes. These posts are about the backbone of my freight car fleet. There’s a really nicely-cast one-piece resin body, with separate roof. A plastic bag holds wire, photo-etched parts, eight-rung Canadian style ladders with integral stirrup steps, a laser cut wood running board, and more. A second bag includes a resin sheet with frame components such as cross-bearers, plus doors. A third bag holds a fine selection of Black Cat Publishing decals, including several variants of the CNR maple leaf logo. Instructions are included on several pages of 8.5×11″ paper, and include a number of black and white photographs to aid with construction and lettering. 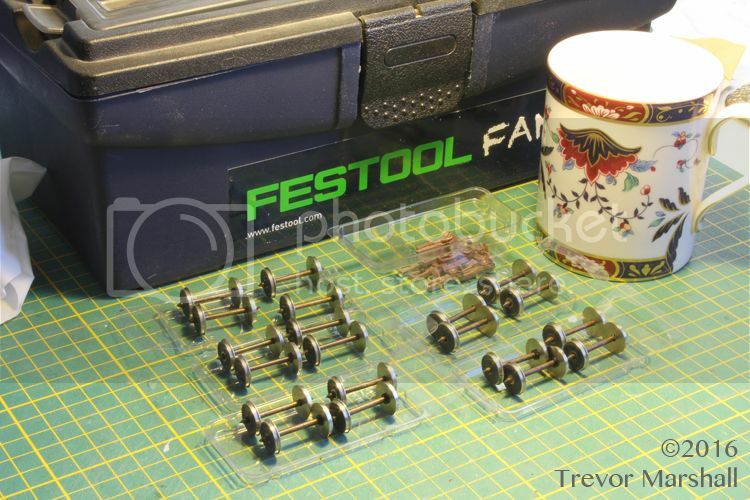 Some minor filing/sanding will be required to clear away casting sprue material to allow the roof to be fitted in place, but that’s to be expected. The details are fine, and crisp. I have done nothing to clean up the resin yet – this is how the kit looks, straight out of the box. I think that’s pretty impressive. Providing these as separate pieces makes it easier to drill the frame cross-bearers to accept a train line, if one desires to model that detail. Like the body, these parts are crisply cast and well detailed. All the resin will have to be washed in soapy water before assembly. 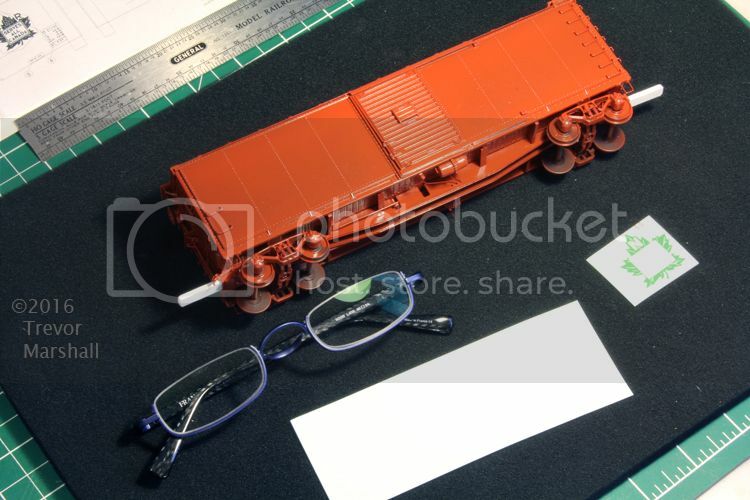 These kits come from a well-known manufacturer of high-quality HO scale resin freight car kits that is dipping its toe into the S scale waters for the first time. 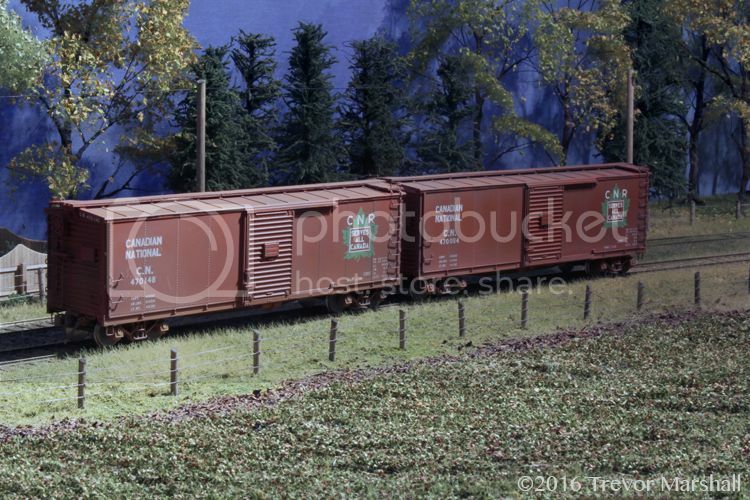 Yarmouth Model Works* will actually offer two versions of this 40-foot, 10’0″ inside height all-steel car – featuring different roof styles and brake configurations. 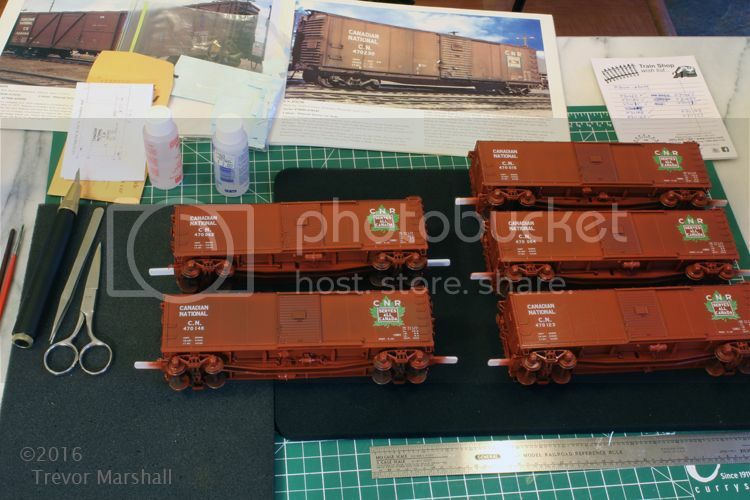 The prototype for these models could be found across North America and the Canadian Rail Car Pictorial – Volume 2 shows them running in revenue service into the 1980s. Pierre Oliver of Yarmouth Model Works visited this week and let me photograph the in-progress models he is building to write the instructions and use as samples. They’re beautifully done, with crisp casting and fine detail, including many photo-etched parts. As I mentioned off the top, this will be the first foray into S scale for Yarmouth Model Works. A successful sales run of these kits will definitely encourage Pierre and his colleagues to bring more top-quality resin kits to market – and he and I have already discussed possibilities. 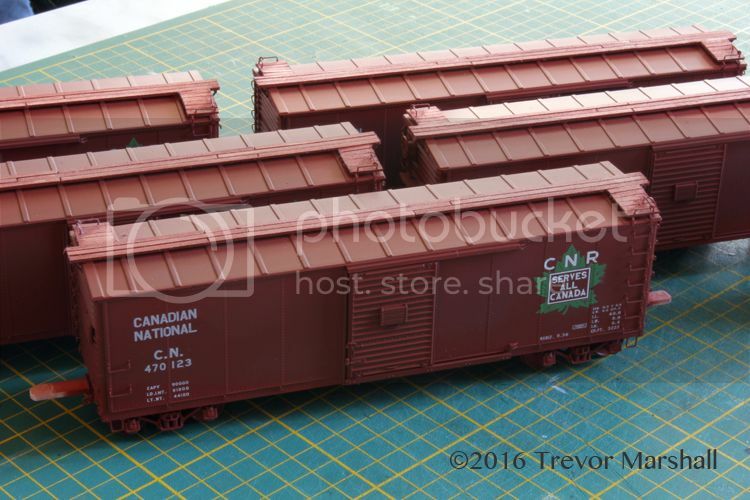 Meantime, I know I’ll be adding several examples of both versions of these NSC steel boxcars to my layout when they’re released. The release date has not yet been announced but it’s highly likely to be before the end of the year.